The Churchill Hotel HotelIn the heart of historic York, this elegant Georgian mansion has been superbly refurbished, combining beautiful original features with modern facilities, including free Wi-Fi and secure parking. Set in its own beautiful, peaceful grounds, just a 5-minute stroll from York Minster, the Churchill Hotel combines the appearance of a country house hotel with a city centre location. With a refined atmosphere, the award-winning Brasserie boasts a great reputation for delicious cuisine, made with fresh, locally sourced, seasonal produce. The Wellington Bar offers a wide range of drinks including craft beers and premium spirits in stylish and relaxing surroundings. 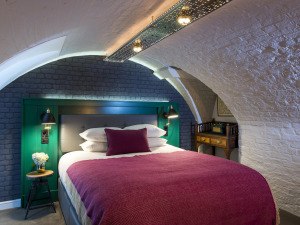 In the heart of historic York, this elegant Georgian mansion has been superbly refurbished, combining beautiful original features with modern facilities, including free Wi-Fi and secure parking. Car Parking is charged at £10 per night Children welcome from any age. The Churchill Hotel sometimes limits bookings to 3 or more days. Family Bedroom sometimes limits bookings to 3 or more days. For a truly memorable stay in the original bedrooms of this Georgian Mansion. 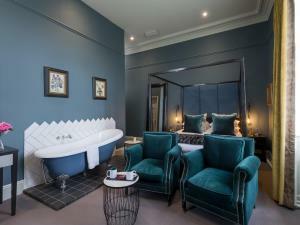 Showcasing the hotels finest features together with bespoke furniture & Egyptian cotton linen. All rooms feature king size 4 poster beds and some have roll top baths. Luxury Double sometimes limits bookings to 3 or more days. 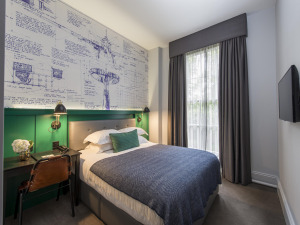 Our standard bedrooms are designed to be smart & restrained with bespoke furniture & Egyptian cotton linen. All are recently redecorated with varying but similar designs. Standard Double sometimes limits bookings to 3 or more days. 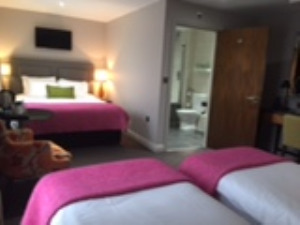 Our middling class of double bedrooms are generously proportioned rooms, smart & restrained with bespoke furniture. King size beds, Egyptian cotton linen, bathrooms have a bath or drench shower. From the A19 (Thirsk to York Road), follow signs into the City Centre. Just beyond the pedestrian footbridge, look out for the Hotel, on your left hand side. 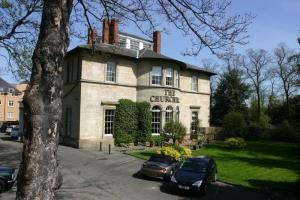 The hotel is conveniently situated for the historic centre, in it's own grounds, so is quiet with on site parking. We would have preferred coffee from machines at the breakfast buffet. We did not spot any hair dryers in the bedroom.